Doz red roses in glass vase with greens and baby's breath. 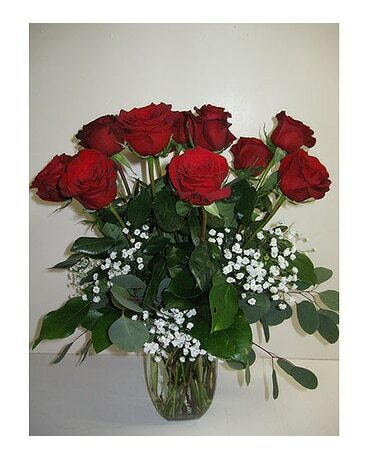 Standard 12 red roses-In a glass vase, Silver dollar eucalyptus, salal foliage. Premium: Doz red roses, silver dollar eucalyptus, salal foliage, Queen anne lace and wax flower.